located within a short walking distance from the municipal of Rhodes this sandy beach is a very popular place amongst the tourists. Beware the beach is usually crowded during the day. 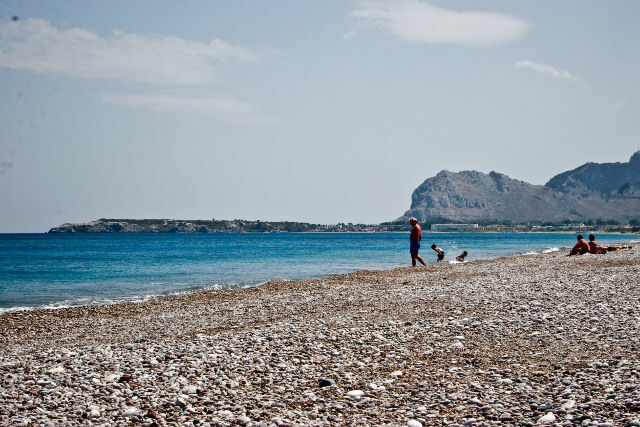 is another organized beach starting from the Aquarium of Rhodes and stretching to several kilometers long. 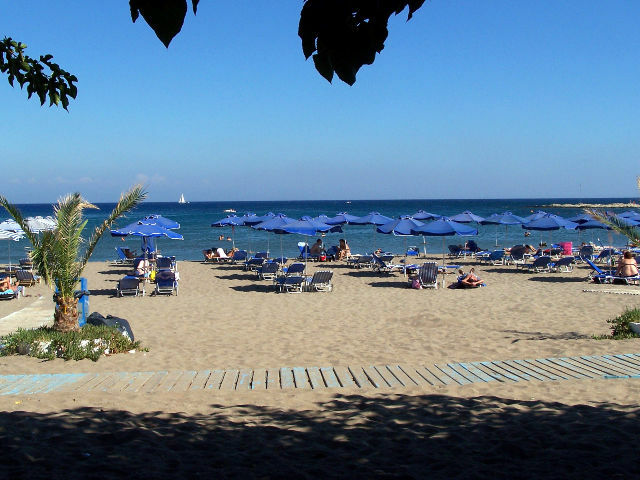 This busy beach is sandy and close by to the city centre of Rhodes. 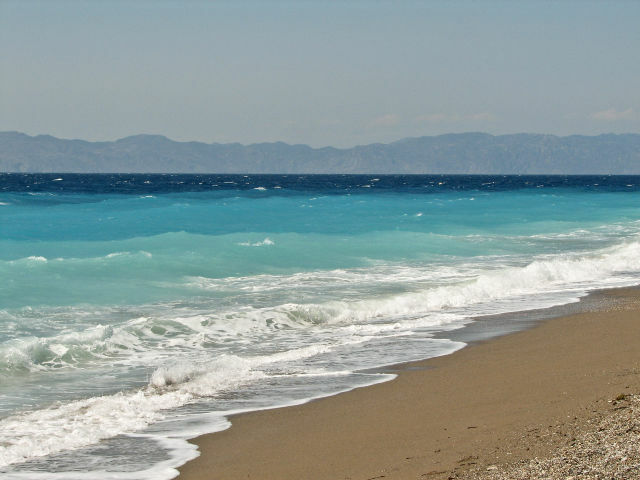 is a sandy beach located only 4 km away south of Rhodes town. 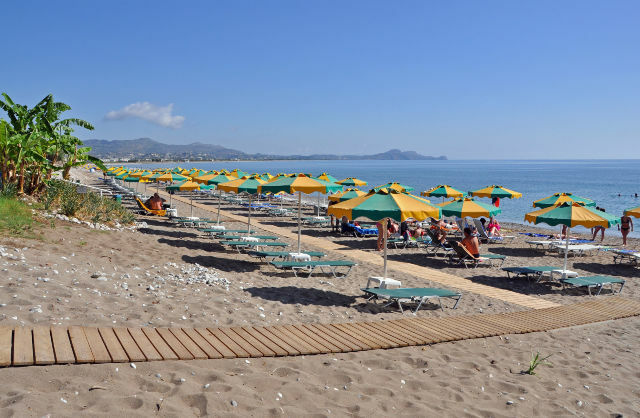 The beach is organised with plenty of sunbeds and parasols. is a sandy and pebbled beach 5 km south west of Rhodes Town. A very popular choice for windsurfers since this part of the island is slightly windy. 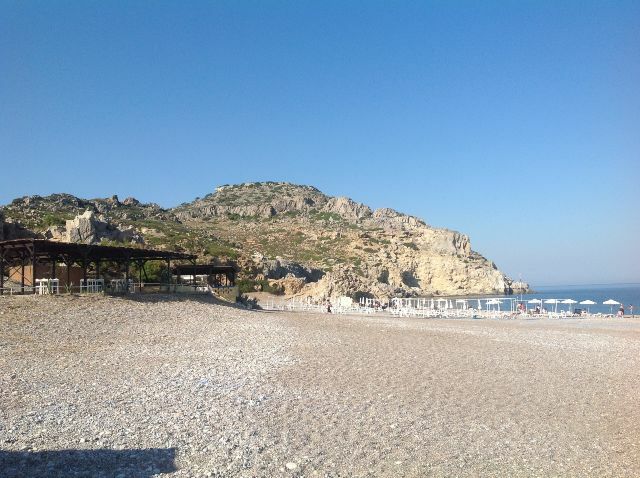 is a fabulous beach with crystal clear waters located just 8 km to the south of Rhodes. 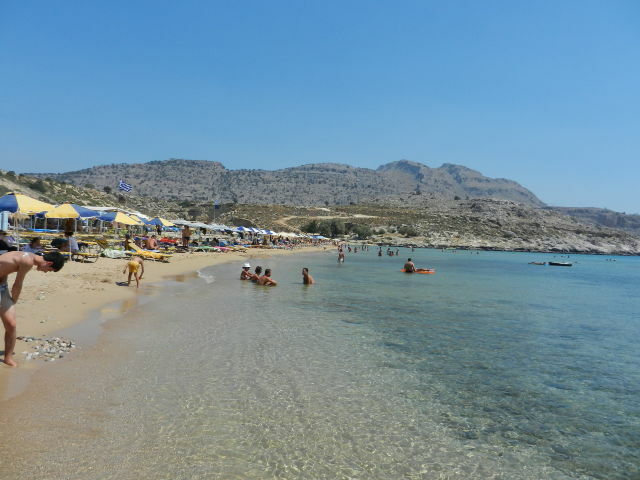 The blue flag awarded beach of Kallithea is partly pebbled partly sandy with wild rocky spots on the side and has numerous sunbeds and parasols for hire. is located 10km south west of Rhodes town and is fully organized. The waters in this part of the island are crystal clear with the beach being sandy with small pebbles and windy during some parts of the day. 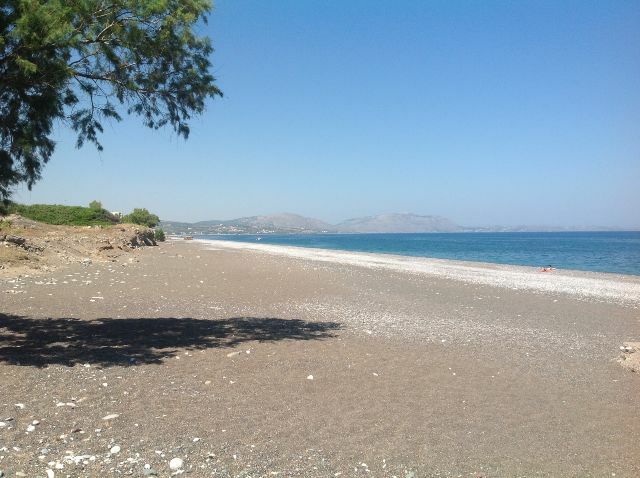 further down from Ialysos lays the beach of Kremasti approximately 12 km south west from the town of Rhodes. This beach is very clean and has many tourist facilities available including a water sports center. located approximately 13 km south of Rhodes town (next to the beach of Kallithea) is a long sandy beach very popular with the locals and tourists with several sun beds and parasols available. Faliraki beach features many watersports and a bungee jumping facility and is also popular with the surfers at some designated parts. 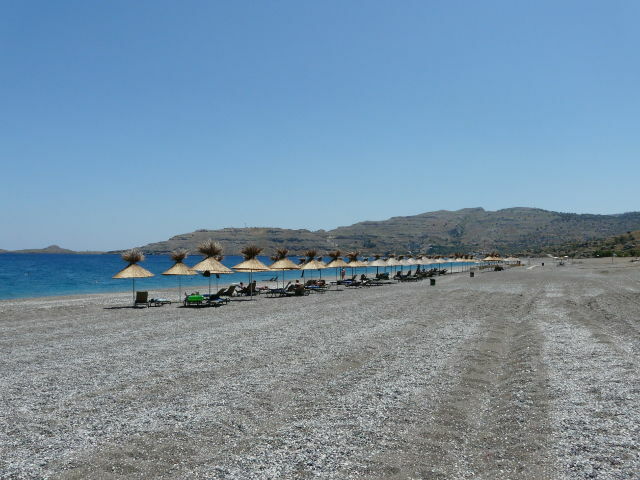 located 19 km to the south of Rhodes this mainly sandy beach (some parts of it have pebbles) stretches to several kilometers long and is quite popular with the locals. The beach is organized at some parts with the water being crystal clear due to the minor currents in the area. The island’s golf club, golf of Afandou, is also located here. 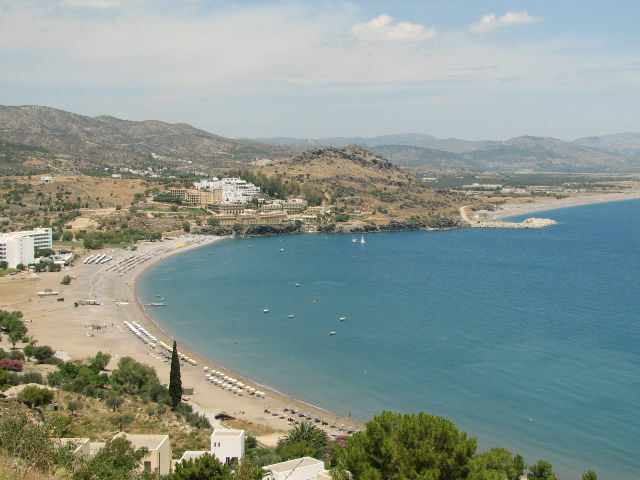 is located 20 km south of Rhodes and is in essence a small cove near Ladiko beach. The sandy and pebbled beach has been named after the famous actor when he was on the island for the filming of the "Guns of Navarone". 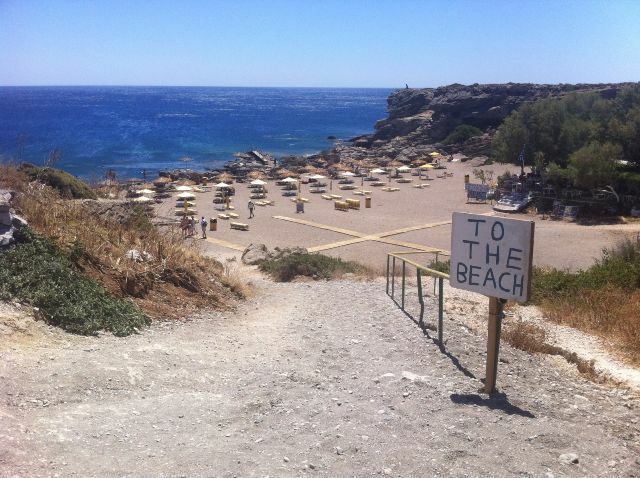 is a popular pebbled beach 20 km to the south of Rhodes. The waters are very clean and the beach is less crowded than the nearby ones. Local taverns are also available here serving lunch. 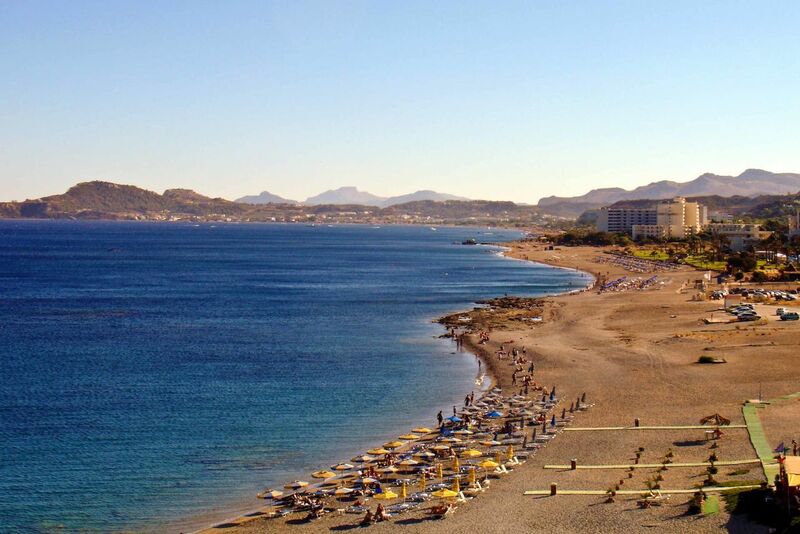 is one of the most famous beaches in Rhodes around 25 km to the south of the city. Turquoise waters in combination with golden sand create a magnificent scenery. The water level is pretty shallow and you have to walk a few meters until you can actually swim! 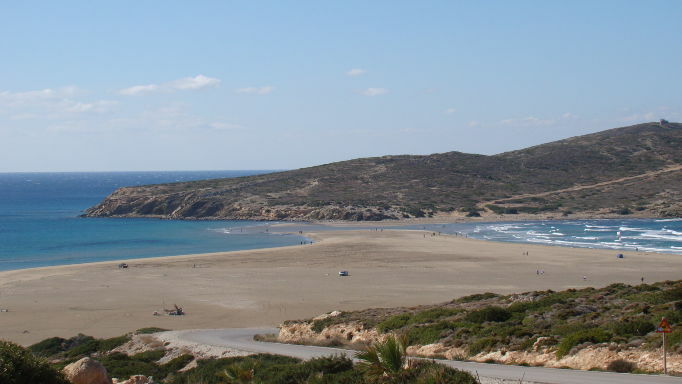 26 km south east of Rhodes town is another organized sandy and pebbled beach with a few taverns available around the area. 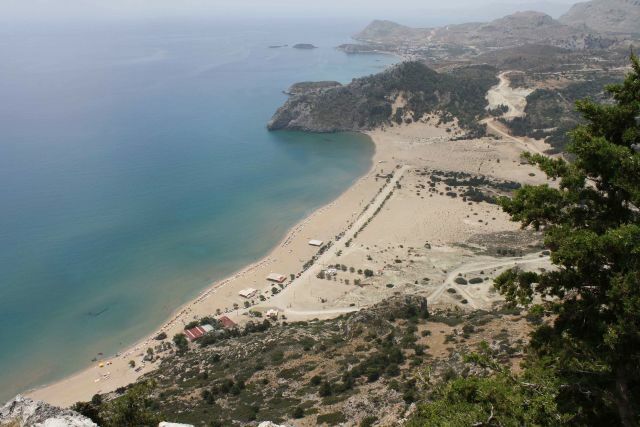 is located 30 km south of Rhodes in front of the village of Archangelos. 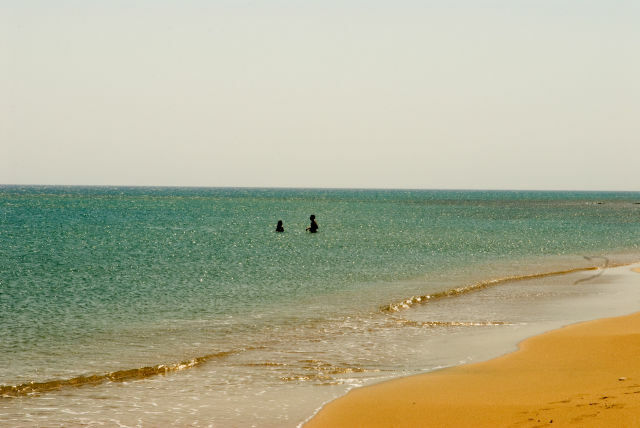 A beautiful family oriented beach with sand and pebbles and lovely fish taverns alongside of the coast. 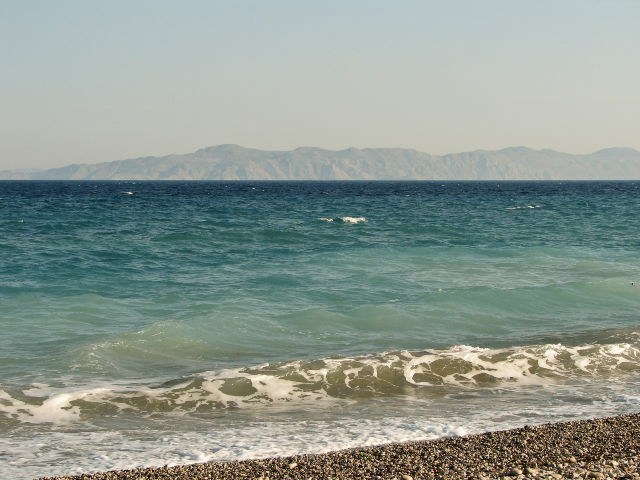 is located further south at 38 km southeast to Rhodes near the village of Haraki. A very beautiful golden sand beach with emerald waters (avoid the rocky sides) and countless sun beds and umbrellas for hire. 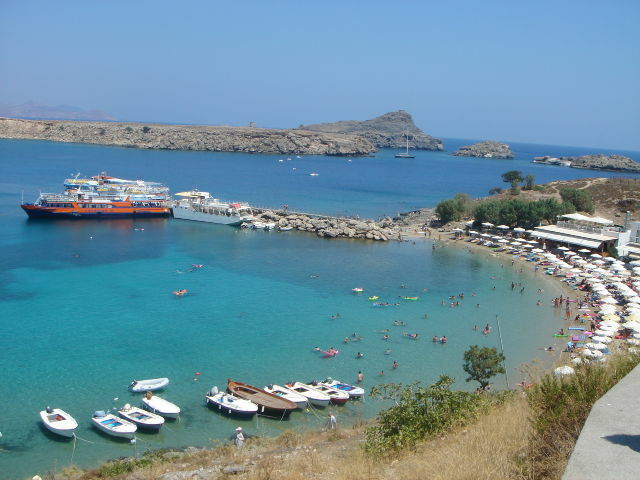 is approximately 47 km south of Rhodes town and just before Lindos and is one of the best sandy beaches in the island. ust after Vlicha Beach and 48 km away from Rhodes rests the fabulous sandy cove of Lindos. As with the rest of the beaches the water is crystal clear and there are many water sports activities available as well as quality restaurants, pubs and bars. is a less popular almost secluded organized beach with shallow yet crystal clear water. It is located 50 km south east of Rhodes. 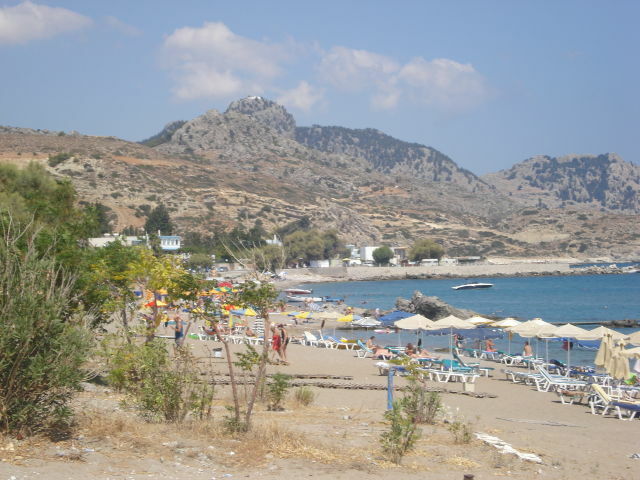 is located 53 km southeast of Rhodes town and is a calm beach resort. The beach is organized with some tourist facilities however is rocky in most of its parts. 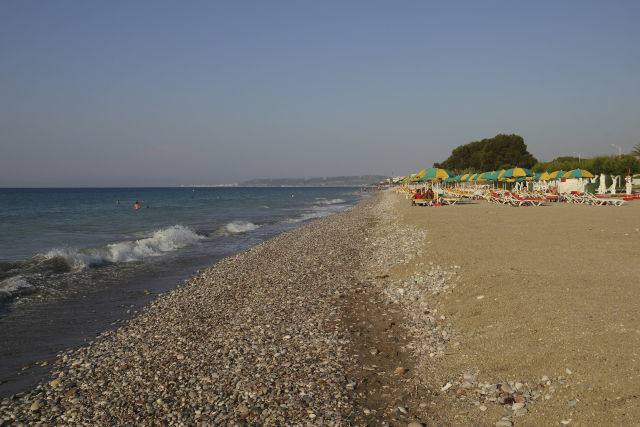 situated 60 km southeast of Rhodes town the wonderful beach of Gennadi has sand and small pebbles as far as the eye can see. Part of this beach has been commercially organized but there is still plenty of space to enjoy yourself in more privacy. is located in the southernmost spot of Rhodes approximately 92 km away from Rhodes and is one of the most beautiful and secluded beaches. This is also the mecca of windsurfing in Rhodes.